I went through my phone this weekend and cleaned up 3 gb of photos. That felt sooooo good, and now I finally have room on my phone. Total win. 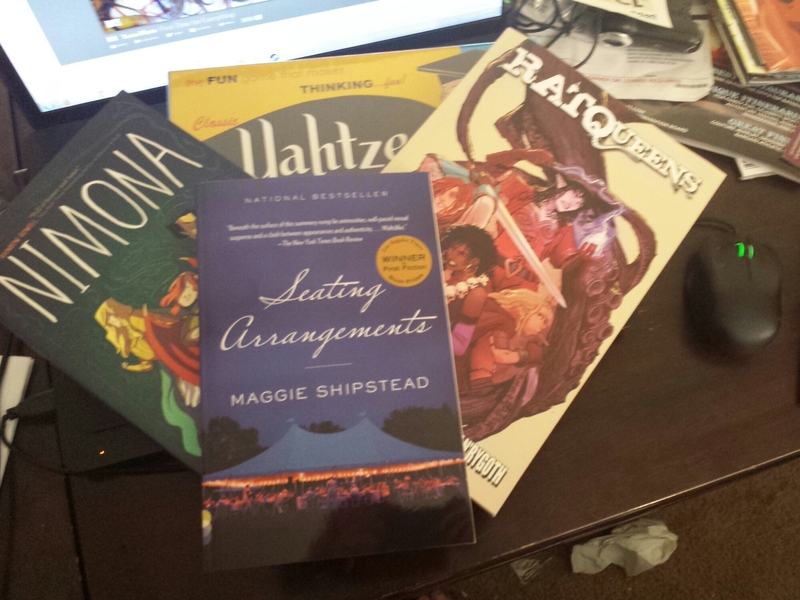 Yahtzee, because I was feeling nostalgic- I spent about a billion hours playing from the age of 8 to 14, Nimona because it was autographed, Seating Arrangements because I told you all about my love affair with Maggie’s second book (Astonish Me) and Rat Queens Vol 2 because it needed to happen. And I got some great mail today, too. 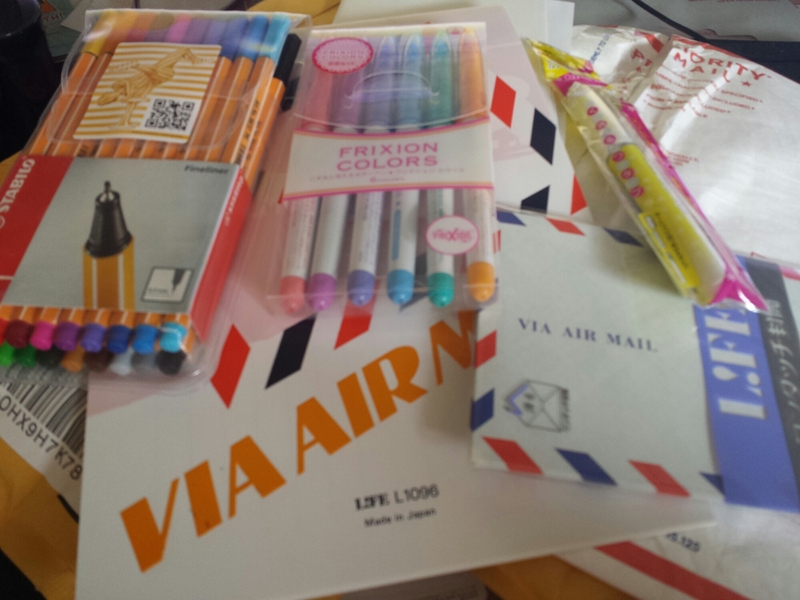 But I have to shout out to JetPens.com, because I placed an order last week for onionskin-thin air mail paper and envelopes, as well as a glue stick, Frixion markers and Stabilo pens…and everything is marvelous so far. I wish I could buy the jetpens.com store, lol. Anyway, that was my Tuesday that felt like a Monday, mostly because of my job.